Did you hear the news? According to various news reports, last week, the government indicted four former employees of the Peanut Corporation of America, including its former president, Stewart Parnell, for allegedly conspiring to sell tainted peanut products. 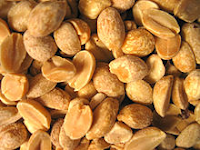 The criminal charges reportedly center around allegations that salmonella-tainted peanut products were sold as a result of poor, unsanitary conditions at the company's Georgia peanut plant. You will recall that the plant was shut down, and a massive peanut butter recall occurred last year, reportedly after nine people died and hundreds got sick around the country. Now, this federal criminal indictment follows. What do you think will come of all this? Will the government get convictions? Frankly, as a former federal prosecutor for over 20 years, I don't know. I can't predict. In other words, it is difficult to predict whether the government can prove the requisite mens rea, or criminal intent. While the government may be able to prove negligence by plant operators, that may not be enough. Put another way, I believe the government will be required to show, at trial, that the defendants knowingly, or intentionally, sold tainted products. And that would be a tall order, don't you agree? Isn't it more likely that, even assuming these folks may have been (grossly) negligent, they never intended to harm anyone? Of course, we don't know all the facts and all the defendants are entitled to their day in court. But, in short, in my opinion, if the government cannot prove intent, the government's peanut butter indictment may be in a jam!